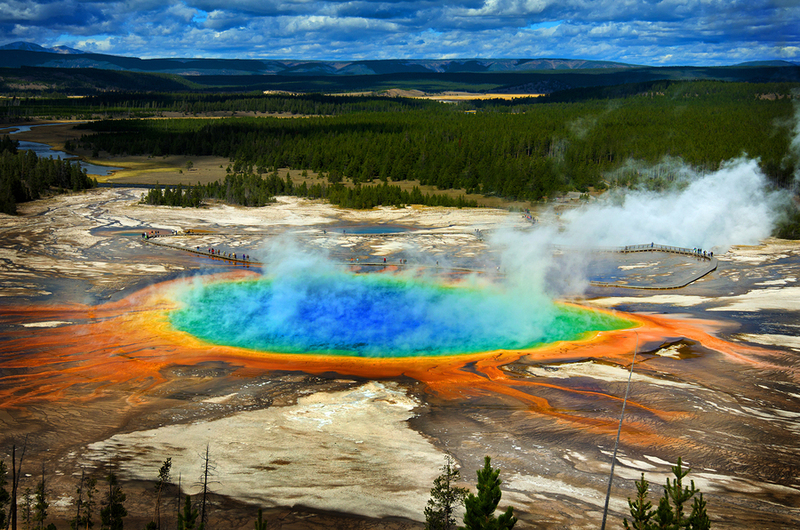 America’s first National Park, Yellowstone, is high on many adventurers road tripping list. 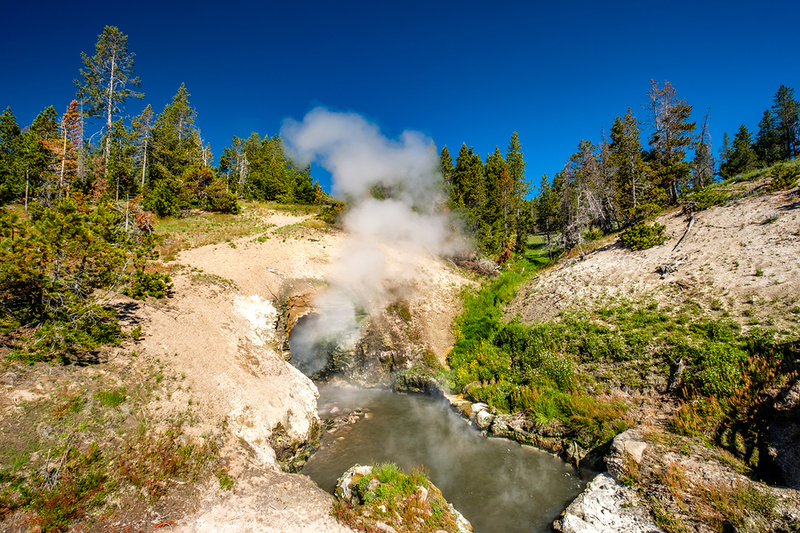 It’s not hard to see why; amazing geothermal features that are abundant throughout the park, spectacular mountains, Yellowstone Lake, Grand Canyon of the Yellowstone and rivers. 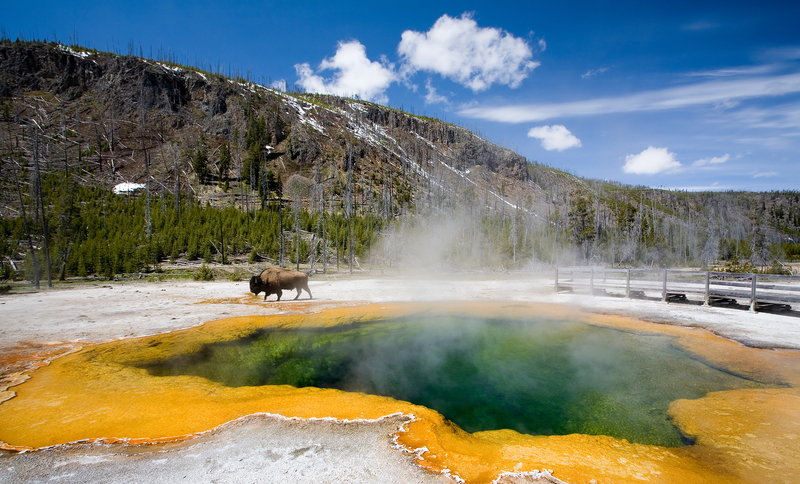 And a diverse range of wildlife including grizzly bears, bison, wolves, elk and pronghorn. 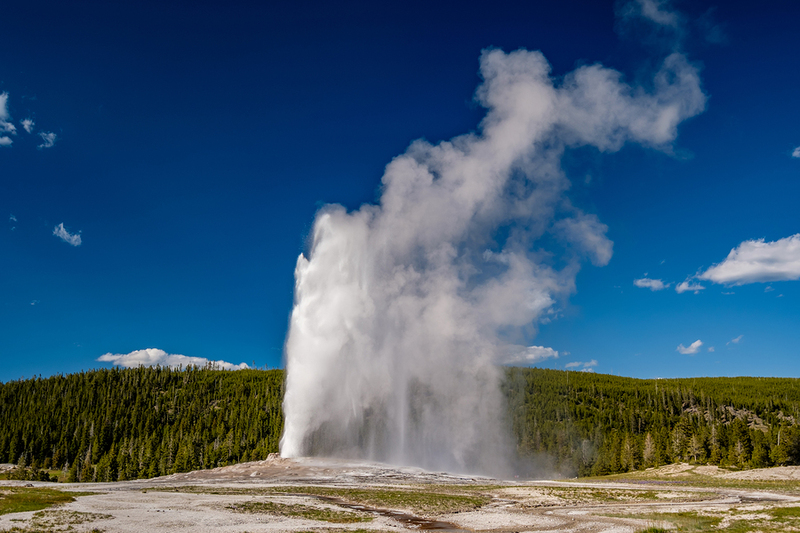 Although Yellowstone National Park is often divided into 4 quadrants for sightseeing, our app is designed as one large tour, rather than discreet individual tours. This allows complete flexibility; tour for half day, one, two days, or more, it’s totally up to you. Join the tour along the Grand Loop Drive as you approach from any of the 5 entrances. We have designed the tour so you can explore anywhere along the route, and drive in either direction. We’ll help prioritize the must see vs. suggestions, based on your time and interest. Along the way, we’ll do a little thermal geology 101 lesson so you can better appreciate the plumbing behind the features you are viewing, such as Mammoth Hot Springs’ cascading travertine terraces. Share stories of wildlife behaviour and their habitat, for when you are quietly watching animals in Hayden and Lamar Valleys. 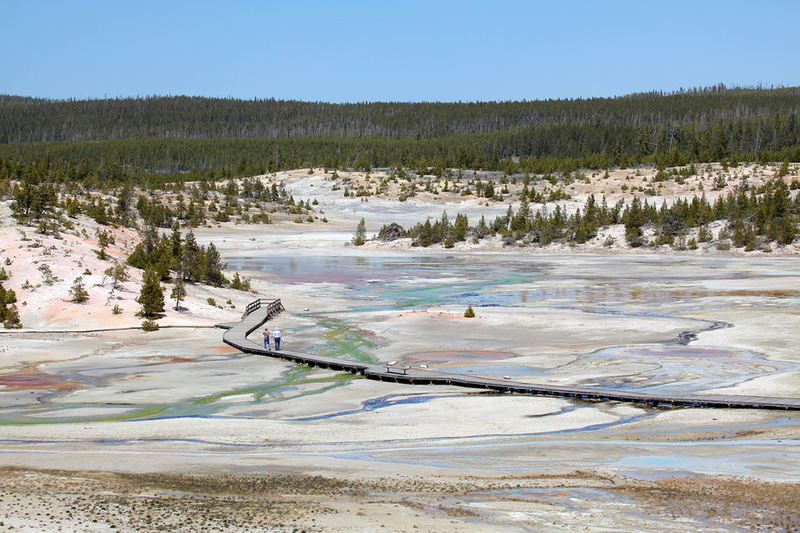 And check off the most important landmarks in the area like those in the Upper Geyser Basin, location of Old Faithful, and Midway Geyser Basin with Grand Prismatic Springs and nearby Norris Geyser Basin. 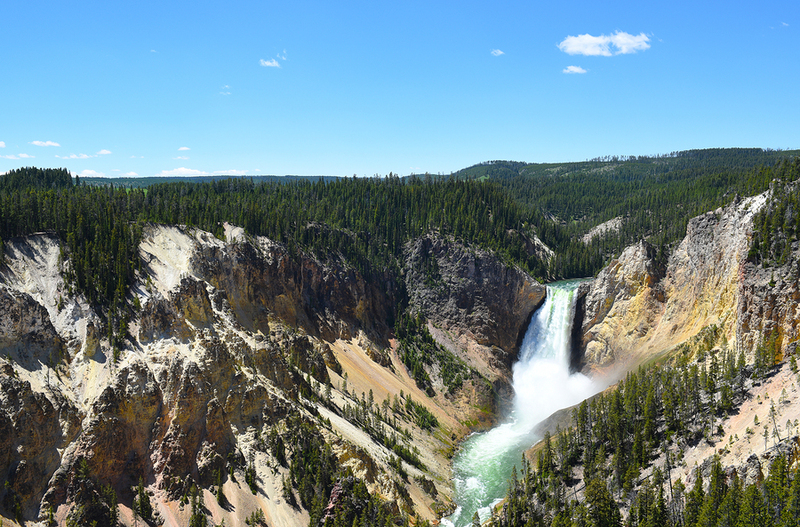 Along with many other stories, tips and directions that will help enrich your Yellowstone National Park experience. 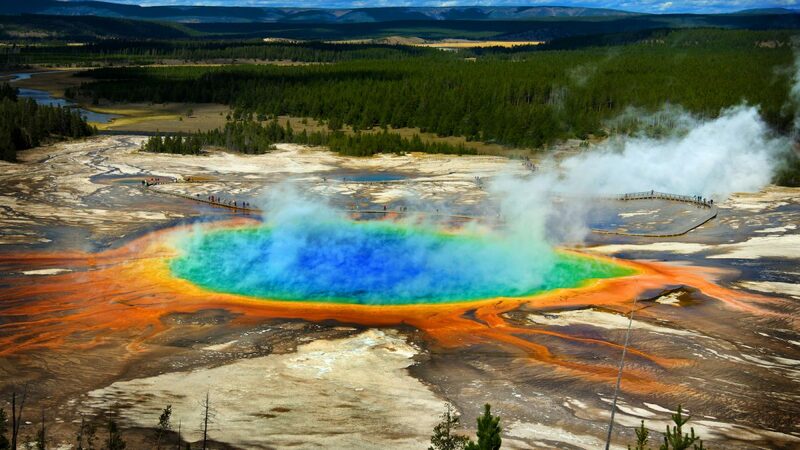 There are 5 separate entrances to Yellowstone. Our tour focuses on the Grand Loop drive and whichever entrance you use, the first commentary begins approximately 10-15 minutes before reaching the junction where you join the Grand Loop. West Yellowstone. It takes about 25 minutes to drive from the gate that is beside the town before you reach the Grand Loop. Launch the tour once you have driven approximately 10 minutes inside the park. The small sign for Riverside Drive is a good place to launch the tour. Gardiner. Launch the tour as you drive through town. The first commentary begins as you approach the Roosevelt Arch. Silver Gate, North East Entrance. Its a long approach to the Grand Loop through the Lamar Valley. 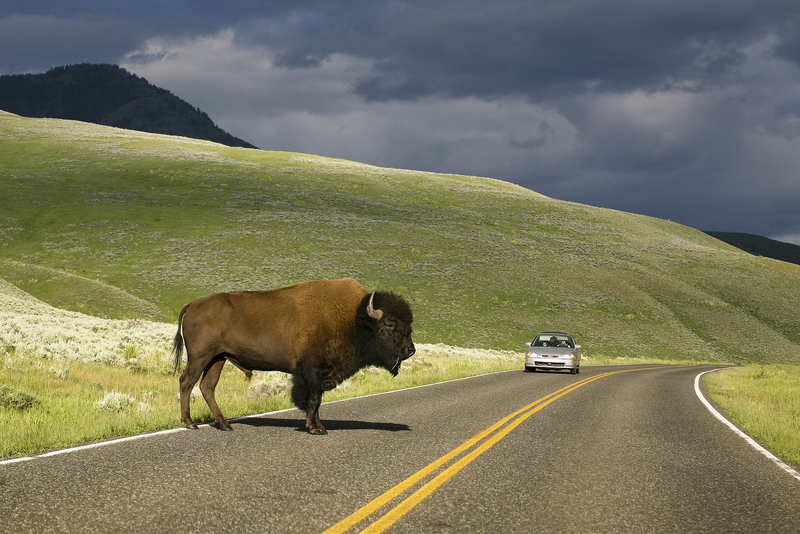 Watch for herds of Bison along the way. Launch the tour once you see the Lamar Ranger Station. First commentary will be about 5 minutes ahead. Cody. This is a long approach to the Loop. Launch the tour when you see the turn off to the Lake Butte Overlook. 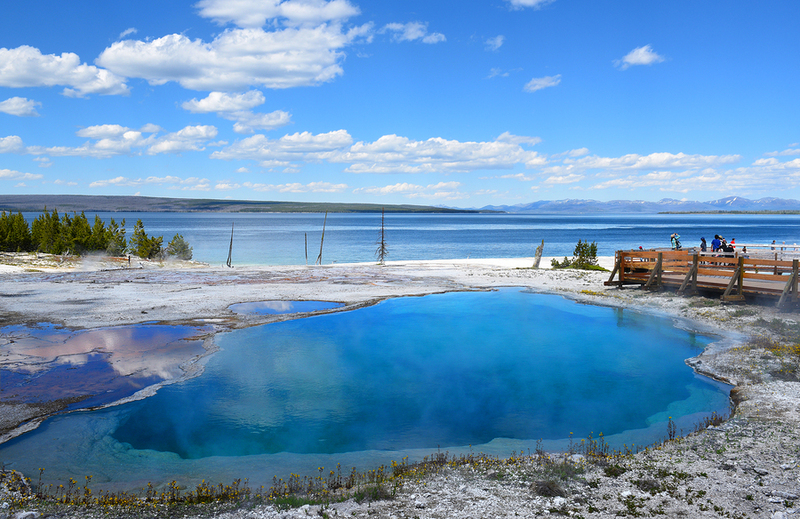 You will be starting to get great views of Yellowstone Lake. First commentary is about 1.5 miles past the overlook. 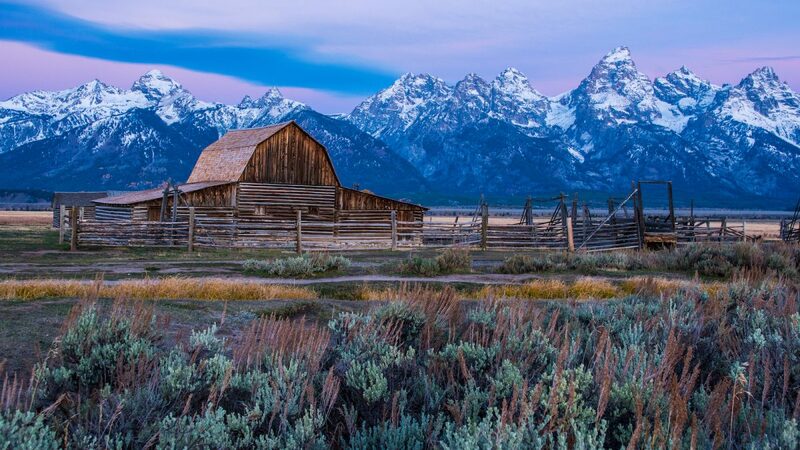 Grand Teton South Entrance. Launch the tour about 10 minutes after entering the park. The first commentary is about 2 minutes past the Lewis Lake Campground. 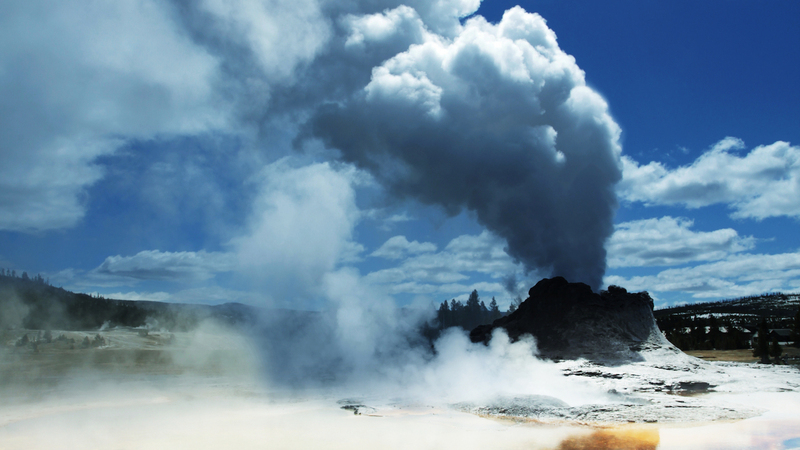 Is this the same tour as is included in the Yellowstone - Grand Teton Combo? Yes it is. If you are visiting both Parks, then the Combo Tour is the best value option. That tour also included the transition drive between the 2 Parks. Sorry, there is not way to upgrade this tour to the Combo Tour. I've read there is very little cell service in the Park - will that effect the tour? I'm not from the USA - will I need data? Fill up your gas tank and bring some food & drinks. Binoculars make wildlife viewing even better.